Perhaps less well known in that secular political world is that Obey believed his actions were rooted not in secular political philosophy but in the religious traditions of his native Wisconsin. He encountered this tradition growing up in a Roman Catholic parish in Wausau and reaffirmed it in the unlikeliest of places, the seemingly secular University of Wisconsin. For Obey, this tradition was known as the Social Gospel. Bascom first articulated this vision in informal student gatherings at his house and in his required senior moral philosophy class. Bascom ended up in Wisconsin in part because some of his religious views troubled constituents at his previous position, teaching rhetoric at Massachusetts’s Williams College. He and other Social Gospel pioneers were northern evangelicals, largely from New England or the so-called burned-over district of upstate New York and northern Ohio (worn out by repeated revivals). They, or their families, had been active in the abolitionist and temperance movements. Bascom himself, a later biographer said, was the author of 30 or 40 books that “cost him more money than he ever received. . . . But he also included that he was glad to have written them and is only sorry that he could not have been of more service to his fellow men.” They included everything from social theory and theology to “An Appeal to Young Men on the Use of Tobacco.” A gifted scholar and committed teacher, he fought as president for better pay for other faculty members, higher academic standards, and coeducational instruction. As a Christian sociologist, Bascom was deeply troubled by the ruthlessly competitive capitalism that had emerged during and after the Civil War. While captains of industry celebrated the unregulated and often chaotic pursuit of wealth, Bascom denounced this competitiveness. He believed the increased concentration of power in the hands of a few violated democratic- and especially Christian- morality. In response, he thought, the state needed to serve a role once reserved for religious institutions. Only thus could humanity reach the utopian goal of a perfected Christian society. Such a society would protect the weak and regulate human interaction in a manner consistent with Christian moral principles. Why work through secular ends? To Bascom the nation’s churches seemed to be impediments to reaching a perfect social order. He saw them as tied to rigid and unchanging traditions. To affirm the Social Gospel, Bascom and his friends rejected two beliefs common among Americans in the late nineteenth century: the “gospel of wealth” and Social Darwinism. As advocated by many popular preachers, including America’s greatest “celebrity pastor” Henry Ward Beecher, the gospel of wealth taught that wealth is a sign of divine favor rooted in personal virtue. In a land of plenty like the United States, if one was poor, it was one’s own fault. Social Darwinism applied Darwin’s concept of the survival of the fittest to modern life: only those most able to “get ahead” and get along deserved to survive the industrial economy. Social Gospel advocates, on the other hand, believed that human beings evolved not just physically for “getting ahead” but spiritually and morally. In a state dominated by the Republican Party (which was divided on the issue), and with the university depending on state funds, Bascom found that political orthodoxy was more restrictive than theological orthodoxy. He was dismissed from UW in 1887. Returning to Williams College as professor of political science, Bascom left the Wisconsin Idea in the capable hands of his students. Protestant Social Gospel adherents and early Progressives universally supported Prohibition. When it died in 1931, its advocates noted that it was odd to say Prohibition had failed when it had never been seriously tried. Not surprisingly for a champion of Prohibition, Bascom also promoted women’s rights; the two were often linked by those who felt delivering the vote to women would help rid the country of the scourge of drunkenness. He even insisted that such bastions of male privilege as UW’s law school be made coeducational. Finally, Bascom defended the right of labor to organize. In a time of mounting labor violence, he believed that workers needed joint action to balance the power of owners. For Bascom and his friends in the Social Gospel movement, these were spiritual, not merely political, matters. Human dignity required a certain standard of living, and arbitrarily low wages oppressed workers and harmed society. It is hardly surprising that Bascom’s most famous student, Robert M. La Follette (1855–1925) championed the power of the state in the hands of educated and righteous leaders. He came to Madison in the 1870s with a conscience sharpened by abolitionists at a small Free Will Baptist academy in Evansville, Wisconsin. As Wisconsin’s pioneering Progressive governor, La Follette virtually made the university’s faculty into a branch of the state government. Economics professor Richard Ely, sociologist E. A. Ross, political science professor Charles McCarthy (author of the book The Wisconsin Idea), and virtually the entire faculty of the School of Agriculture were constantly called upon to address social and practical problems confronting Wisconsin residents. The Wisconsin Idea angered both doctrinaire socialists, who wanted more state intervention, and political conservatives, who wanted less. But as early as the 1890s, the Social Gospel notion of a cooperative Christian commonwealth governed by the Golden Rule and the ethics of Jesus was circulating widely among Populists and Christian Socialists. (Populism represented a coalition of farmers and labor unions against elite bankers, businessmen, and railroad tycoons.) It found especially fertile ground in the failed 1896 presidential campaign of William Jennings Bryan. Many younger Social Gospel advocates, such as Ely, who founded the anti–Social Darwinist American Economic Association, were educated in Europe. In fact, British Christian Socialists, such as F. D. Maurice and editor W. T. Stead, established much of the framework for the American movement. Stead, who later perished on the Titanic after giving his life jacket to another, famously published an insightful and graphic expose of Chicago’s underbelly, If Christ Came to Chicago: A Plea for the Union of All Who Love in the Service of All Who Suffer (1894). The Social Gospel also laid the foundation for the modern Canadian welfare state, especially in the more homogenous environments of Ontario and the Prairie Provinces. In effect the Social Gospel, not just in Wisconsin but throughout North America, evolved spiritually and politically from protecting the victims of the industrial system to putting forth an understanding of the economic basis of a just society. 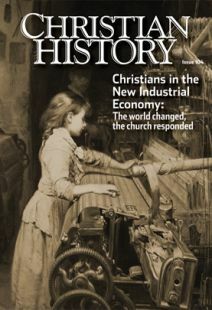 Beginning with the notion of an eight-hour workday, the movement soon proclaimed that workers were entitled to a living wage—probably the most enduring Catholic contribution to the Social Gospel movement in America. Drawn from the title of a book by Minnesota native and Catholic priest John A. Ryan (see “Brothers and Sisters of Charity”), a “living wage” was defined as the income needed for the head of household to provide for a family’s health and self-respect: savings, insurance, tithe, union dues, reading, and modest recreation. A critic of what he called the “gospel of consumption,” Ryan advocated “distributive justice”—a fairer distribution of wealth, not an increase in individual consumption of luxury items. On the right, some saw the Social Gospel as a departure from Christian orthodoxy by idealistic and naïve do-gooders. On the left, it was seen as perfectionistic, naïve, and focused on the middle class. Both critiques contain elements of truth. But the Social Gospel tradition is still alive and well in America and around the world. Let one illustration stand for thousands of others: the young Methodist Sunday school teacher and mayor of Minneapolis, Hubert Humphrey insisting at the 1948 party convention that the Democratic Party repudiate its segregationist heritage and embrace a platform that affirmed civil rights for African Americans. Humphrey was a product of the Social Gospel tradition, as were other famous pioneers for racial justice like baseball executive Branch Rickey, his star player Jackie Robinson, and Georgia’s Baptist preacher Martin Luther King, Jr. All had learned the Christian vision of a world of social equality and economic justice from parents, pastors, and teachers nurtured by the Social Gospel in mainline Protestantism. William Kostlevy is professor of history and political science at Tabor College. Missionaries Against Terrible Odds From a contemporary translation by Kate Hettasch of Geschichte der Mission der evangelicschen Bruder auf den Caraibischen Inseln, S. Thomas, S. Crocr, und S Jan, Barby, 1777Christian Georg Andreas Oldendorp. England and Ireland in John Wesley’s days.